One of Sandton’s most stylish outdoor spaces – San Deck – has reopened following a full refurbishment, bringing to life a uniquely African meeting spot carved into the Sandton skyline. With a spectacular location in the iconic Sandton Sun, the San Deck is vibrant, stylish, and comfortable. 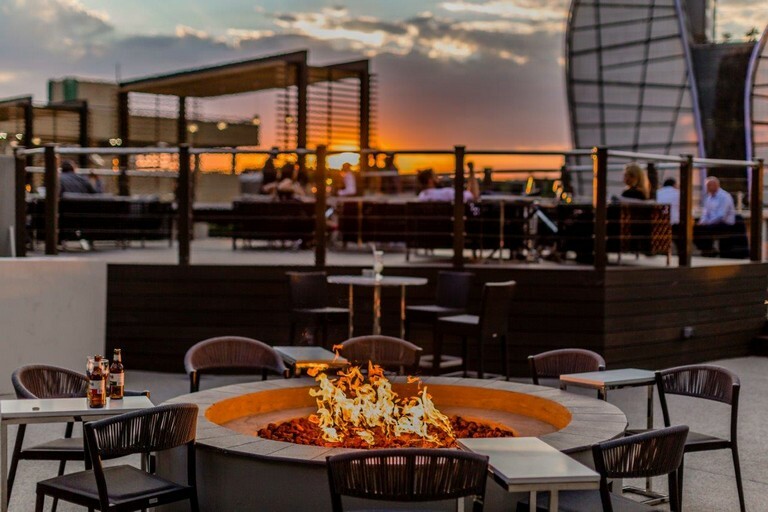 Designed to take full advantage of the Highveld sunsets, and offering guests a variety of unique spaces, San Deck is a place to share experiences of social dining and sophisticated artisanal beverages. San Deck’s food and drinks menu reflect the style and variety of its setting. In keeping with the ethos of Sandton Sun, the food menu showcases fine, seasonal, and sustainable South African produce, and features a wide selection of snack and meal options. Social options include items such as sushi, oysters, homemade deck sliders, calamari and other South African favourites. The beverage menu is a true showcase of the quality of South African spirit, beer, wine, MCC and cider producers. Premium local spirits include craft gin and rum, single grain, single malt, and blended whisky, brandy, vodka, agave, and liqueurs.